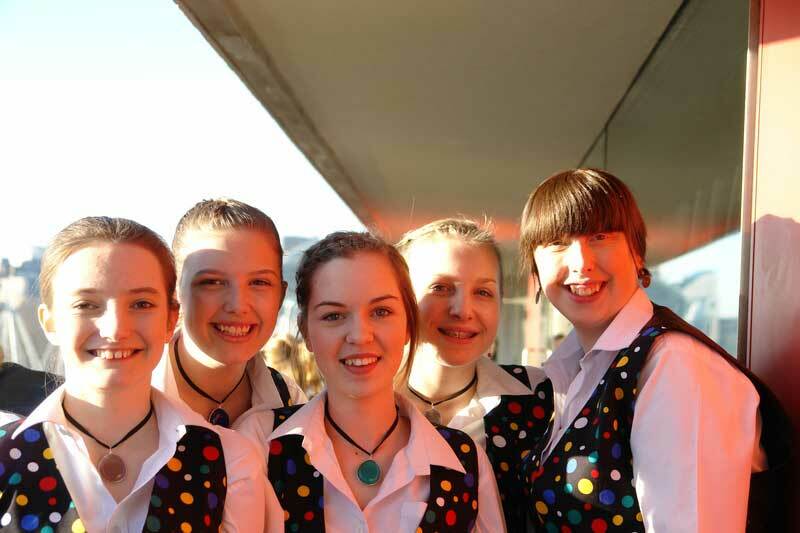 Another early start for the choir. 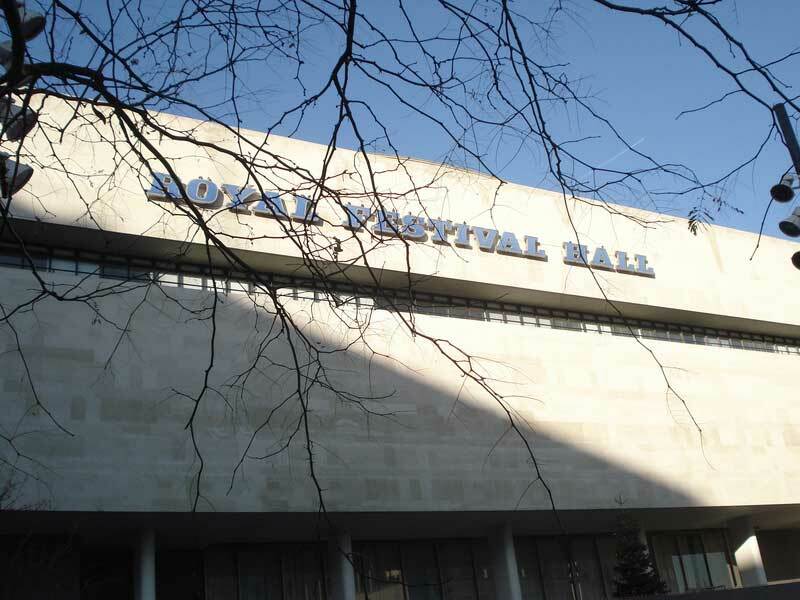 On a freezing cold morning we met at Pittwood House at 6.00 am to board our coaches to travel to the Royal Festival Hall on the South bank in London to compete in the BBC Radio 3 Choir of the Year Grand Final- the UK's largest amateur choral competition. 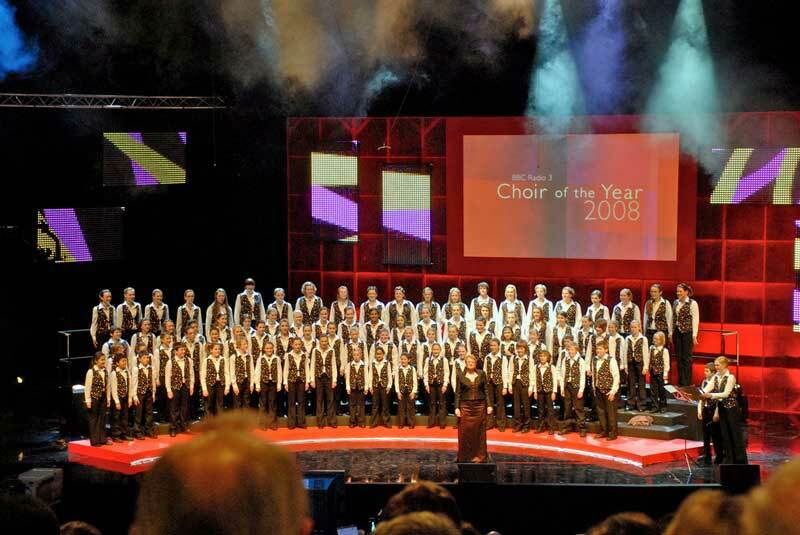 This was the end of a long road that began nearly a year beforehand and encompassed more than 200 choirs and over 5000 singers altogether. 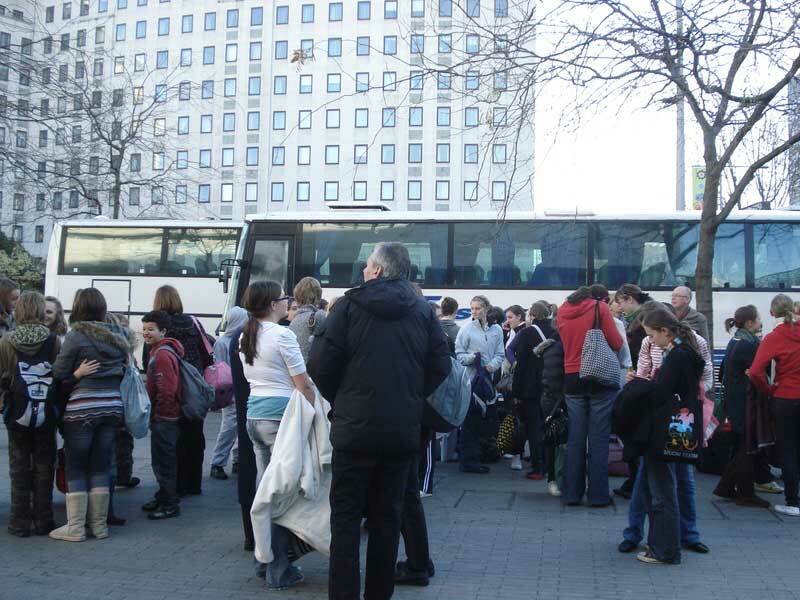 Five coaches (2 for the choir and 3 for supporters) made their way to London, arriving in the capital by about 11.30 am. To begin with both coaches were very quiet with the choristers relaxing or catching up on lost sleep. After our comfort break coaches came to life with choristers and supporters busy doing make-up and sorting out hair before arriving at the Royal Festival Hall. 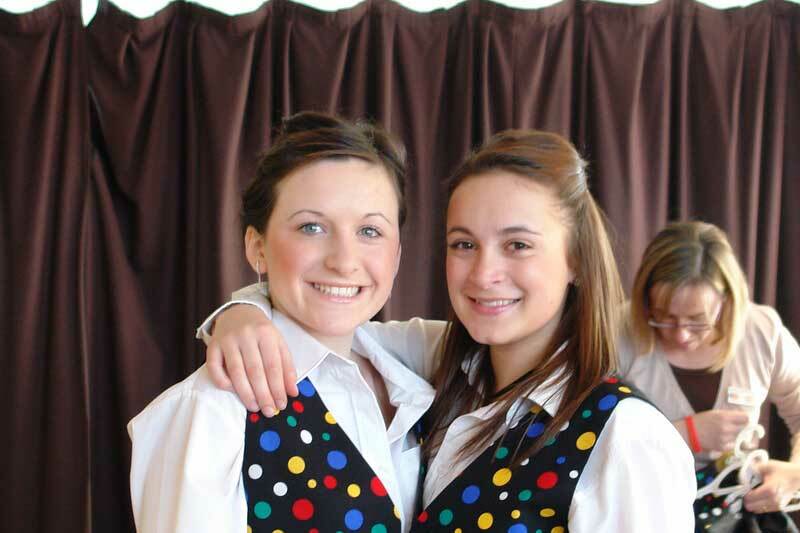 Supporters then went off to enjoy their free time around London whilst we got down to rehearsing and getting ready. 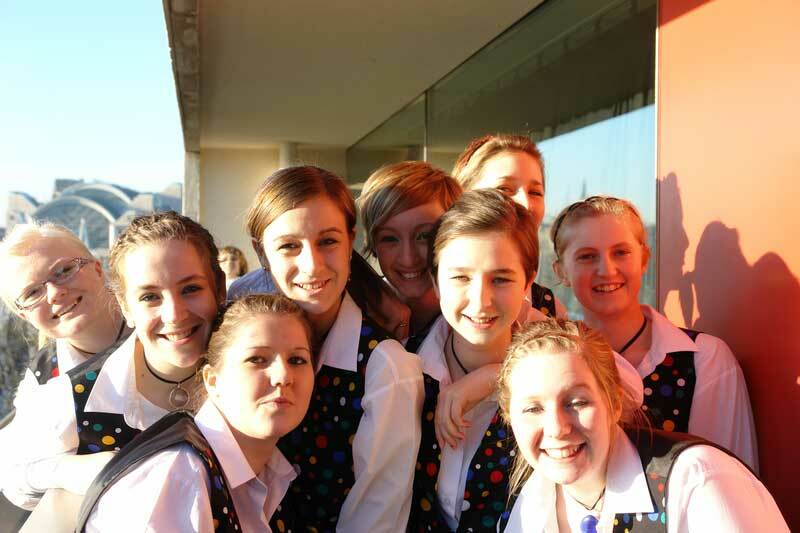 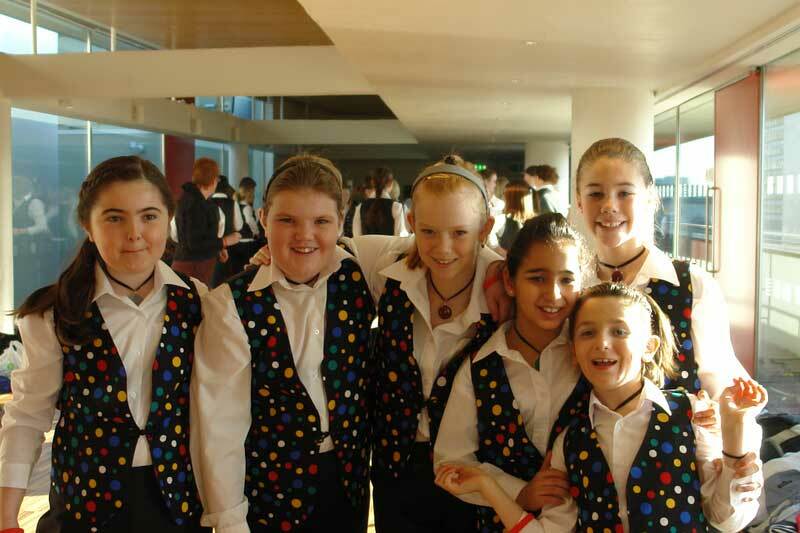 The choristers were fantastic, supporting each other, enjoying every minute of the day. Our room was on the sixth floor of the Festival Hall with a balcony overlooking the London Eye, Big Ben and Houses of Parliament. 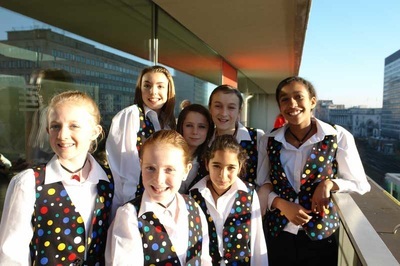 There was also an outside area with seating for those more lively choristers to let off a bit of steam safely. 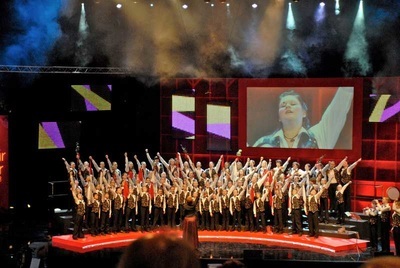 Time flew by really quickly and before we knew it we were on stage for the camera rehearsal before going back upstairs to enjoy a variety of Pizzas, Coleslaw and Potato Salad delivered to us by Village Pizza. 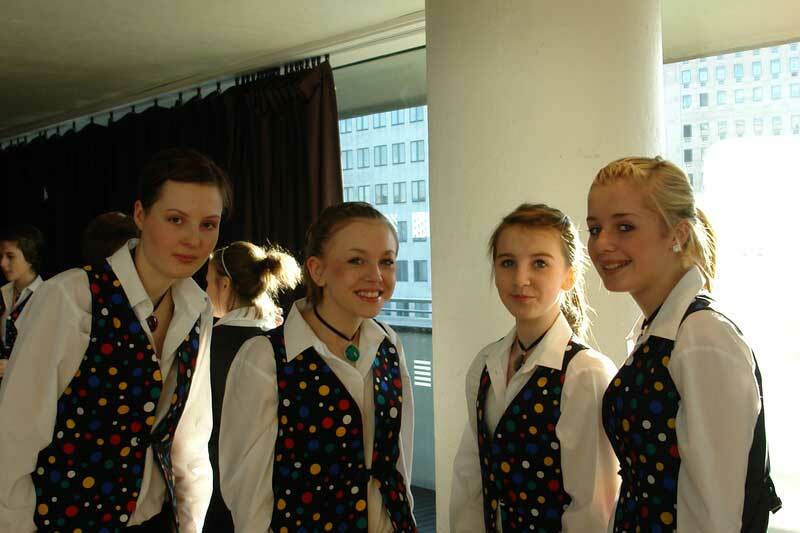 It was then time for final checks of uniform, hair, make-up before going back downstairs to the auditorium to take our seats. 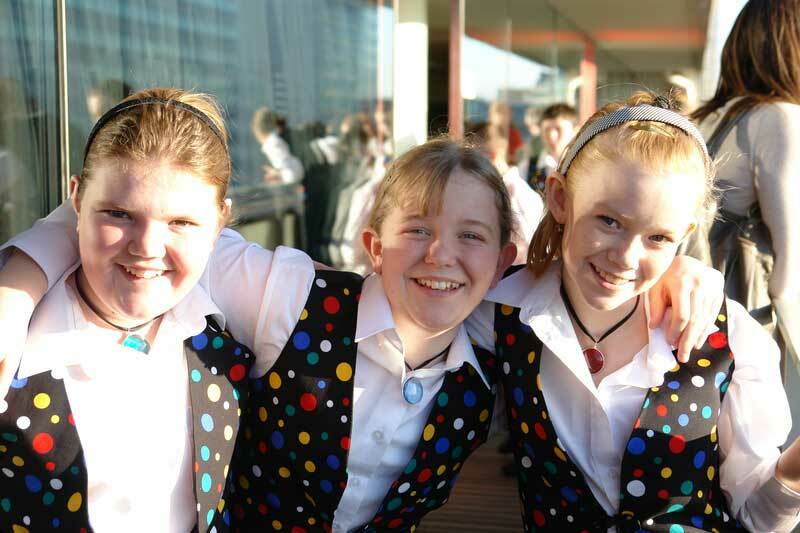 Some choristers were excited, most were nervous but all recognised the importance of this day. We were third on the programme and watched Taplow Youth Choir and Dieci before it was our turn to take to the stage to perform in front of approximately 3000 people. 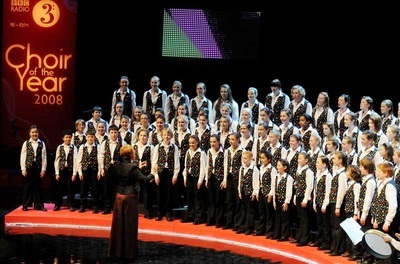 What a performance the choir delivered. 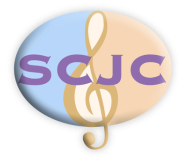 Perfect in nearly every way and appreciated by an audience that were heard humming Gaudette in the interval following our performance. 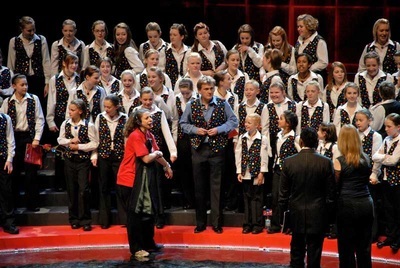 The competition was being reviewed by five eminently qualified judges, Vasily Petrenko, Mary King, Howard Goodall, Suzi Digby and Paul Gladstone Reid. The evaluation was outstanding, delivered by three of the five judges. Vasily Petrenko said it had been an absolutely fantastic and stylish performance. He referred to their great sense of rhythm not only in the solos but altogether and said he could not wait to watch it again to catch even more detail. 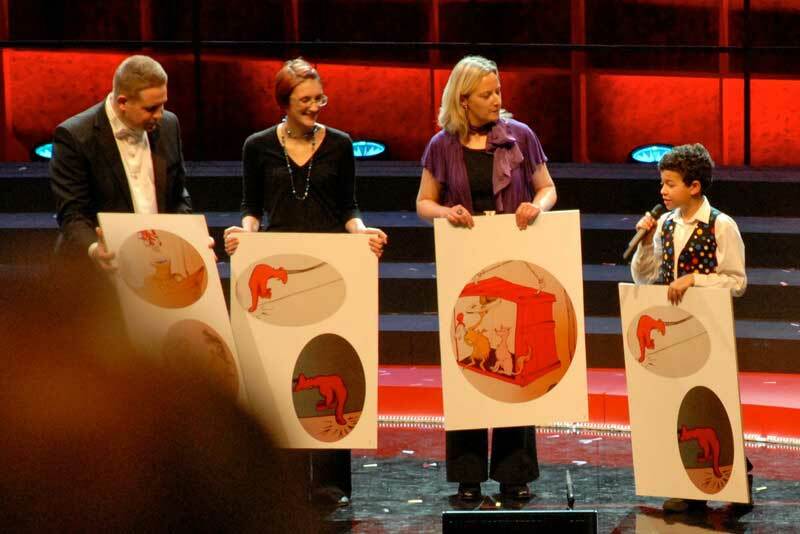 He concluded by saying it had been very well staged. 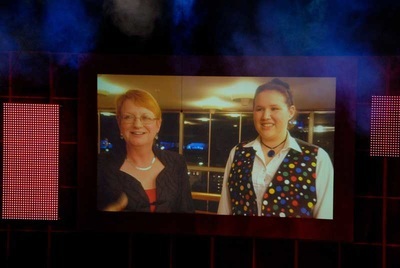 Mary King followed by saying it was fantastic. She said it was very difficult with so many members to sing loudly without singing coarsely but she had to say we never did sing coarsely and went on to describe the choir as the best advert for the joy of singing she had ever seen. 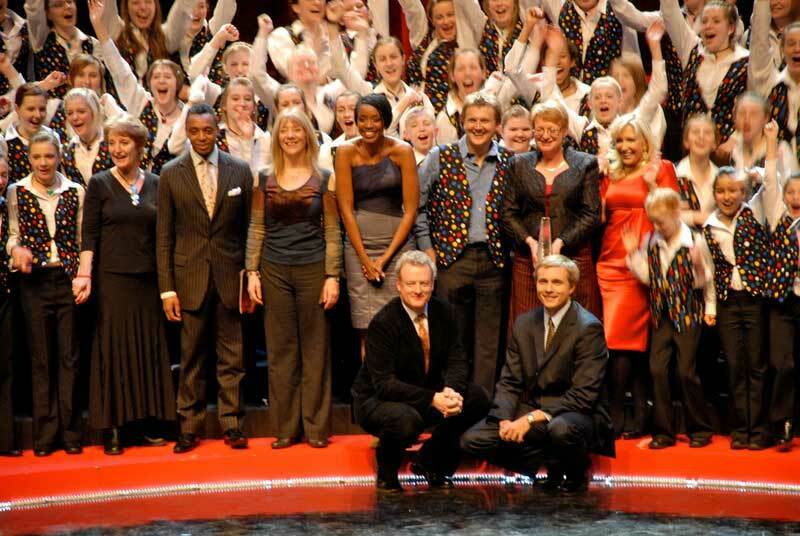 Howard Goodall summed up by saying he too was impressed. 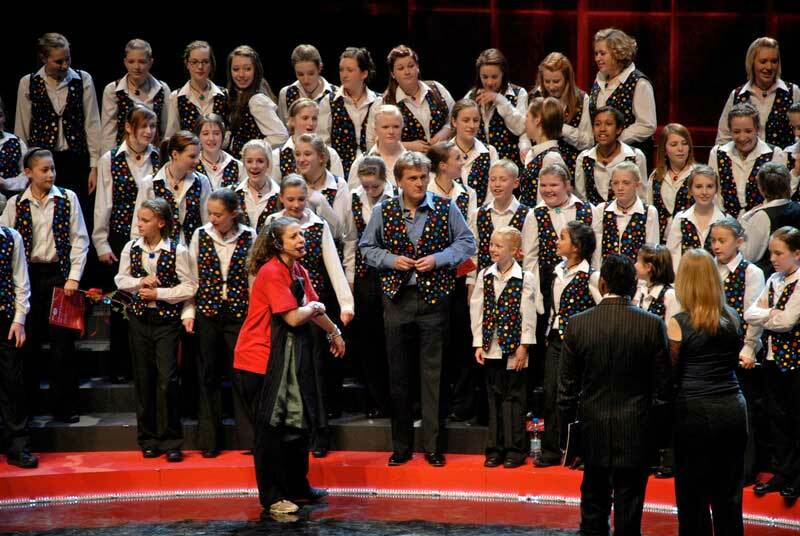 Not only did they sing but they performed for them with their eyes. 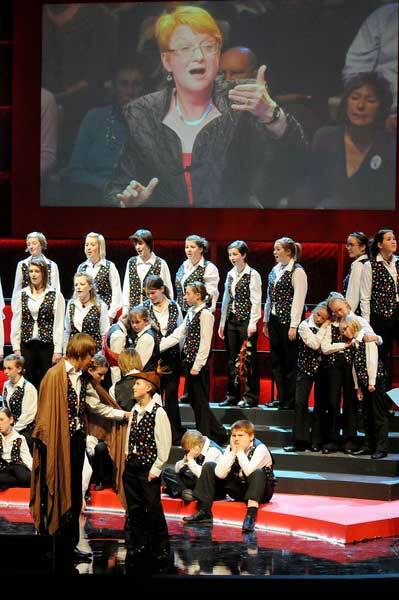 He referred to the cameras that were on Sue Hollingworth and said that Sue communicates with the choristers and they in turn communicate with the audience and said it was a fantastic example of how singing wasn’t about only the voices but the whole person. He concluded by saying, “Bravo, well done." 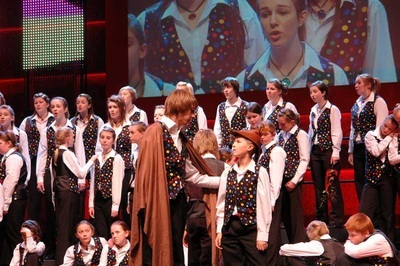 The start of the second half saw four other choirs perform their pieces all hoping to win the crown. 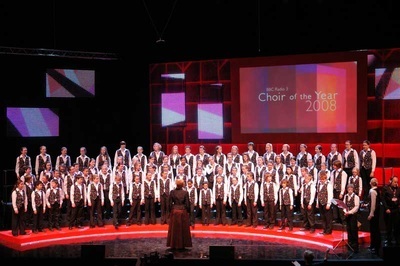 At the end of a really enjoyable afternoon, after every Choir had done their very best and delivered some outstanding performances, the judges retired to consider their verdict. In summing up they described Scunthorpe’s performance as full of honestly and integrity with a simplicity, was very fresh and totally genuine. 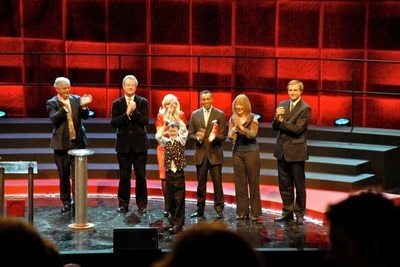 After what seemed like an eternity and later than expected, the judges returned with Roger Wright, Controller of BBC Radio 3 to announce the winner. 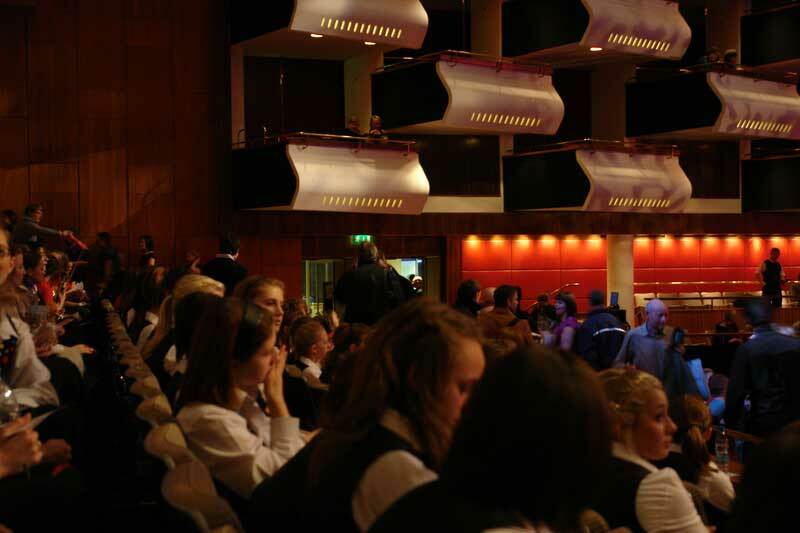 There were lots of frayed nerves and chewed nails as we heard the announcement we had awaited but never dared dream would happen. 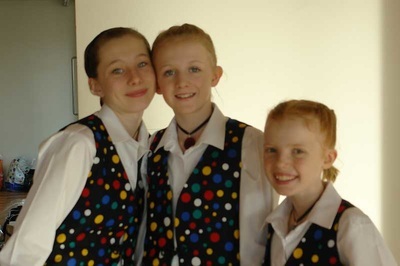 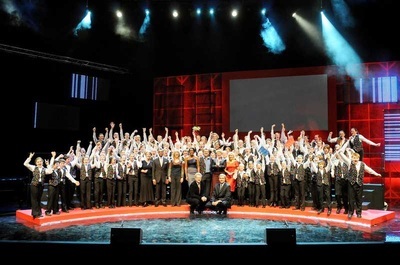 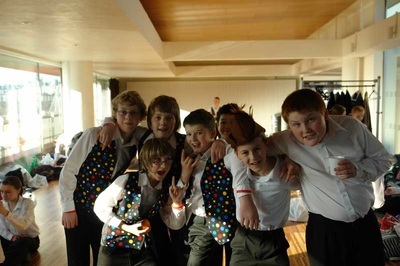 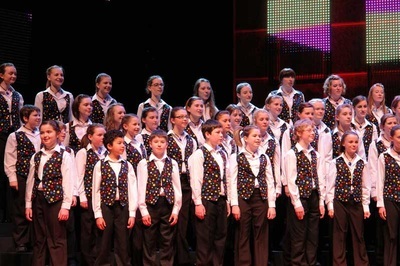 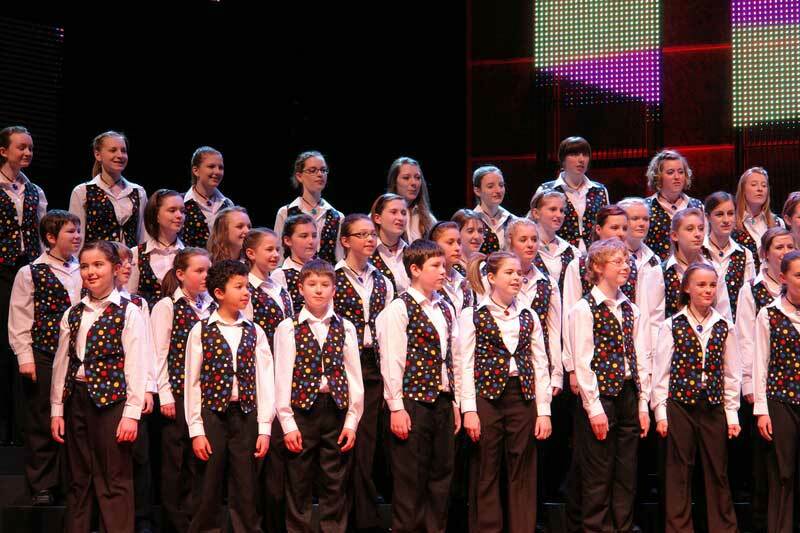 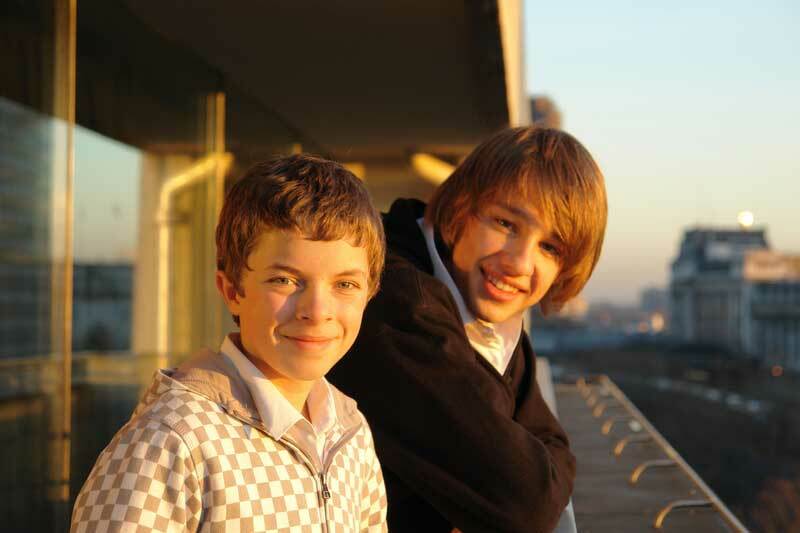 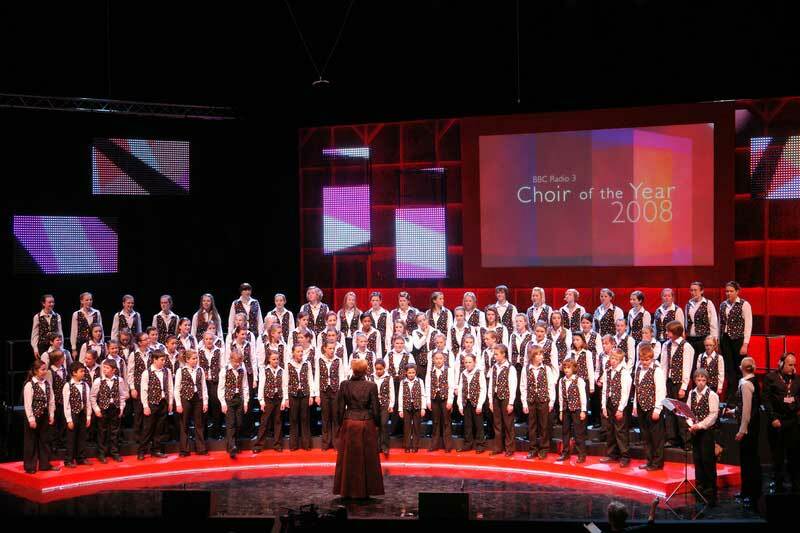 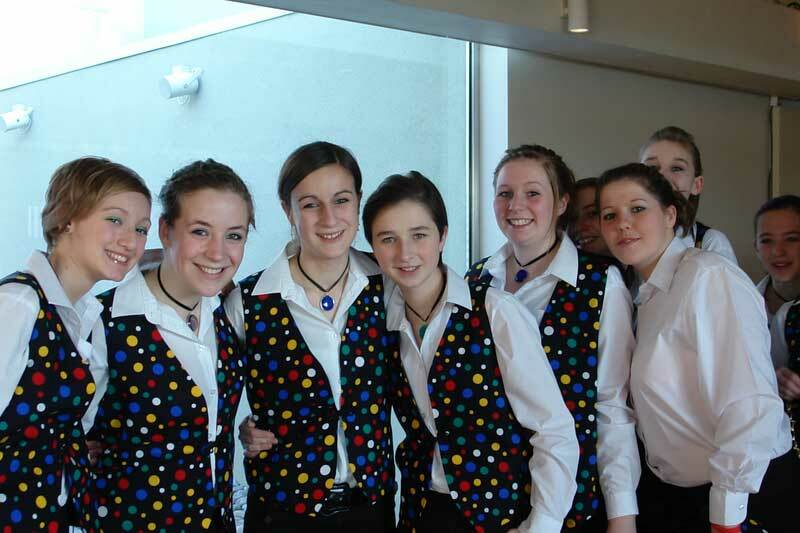 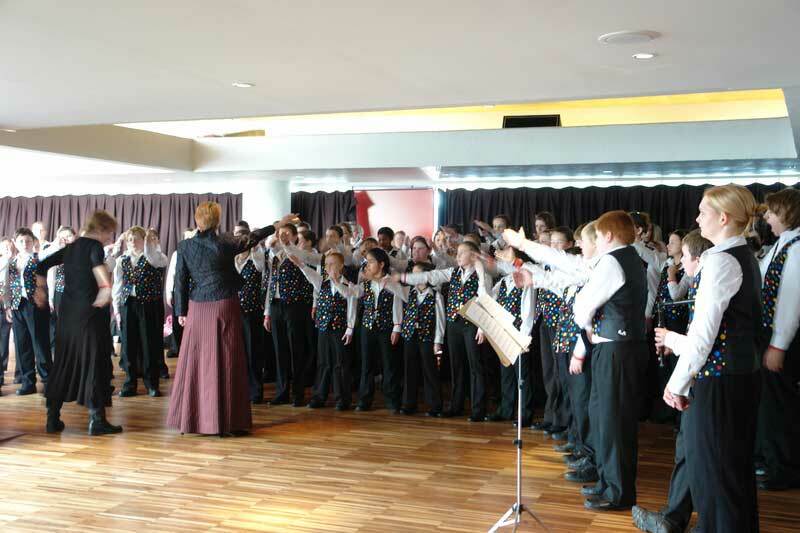 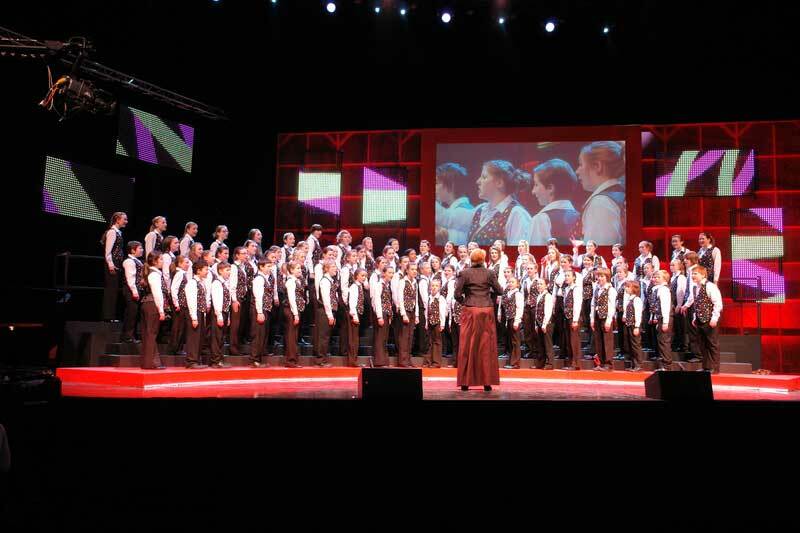 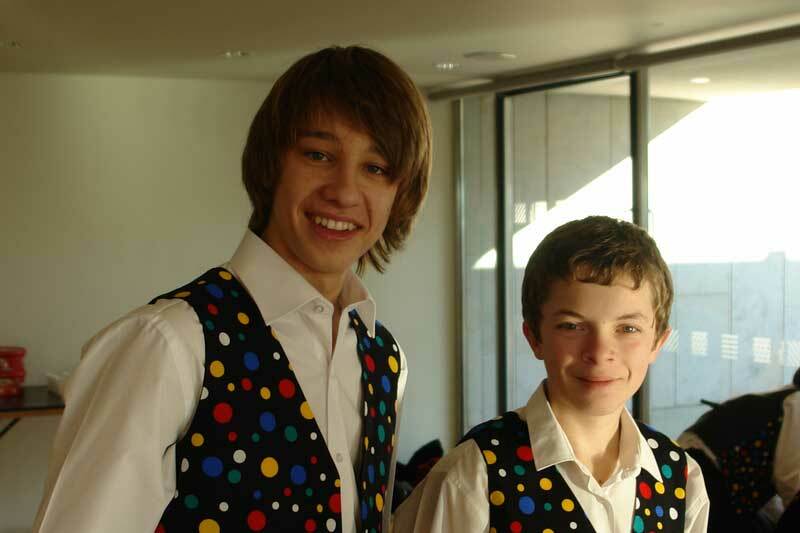 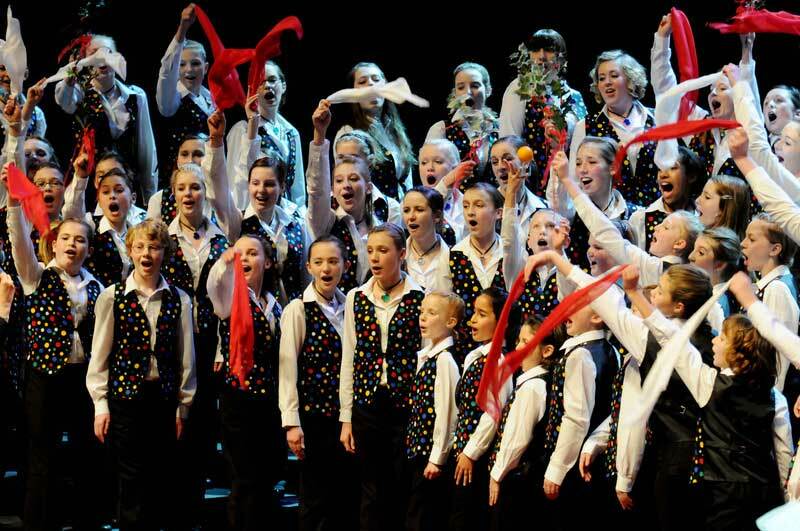 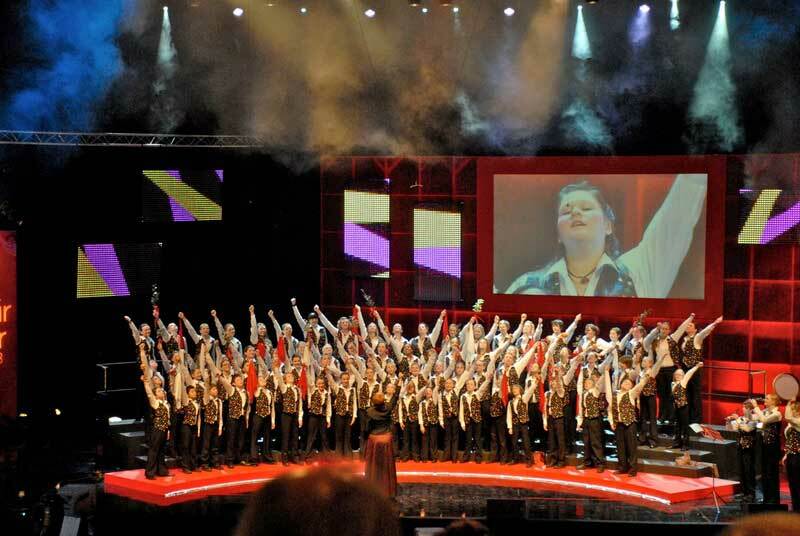 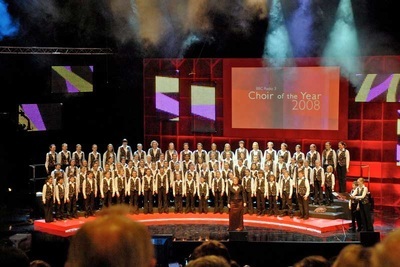 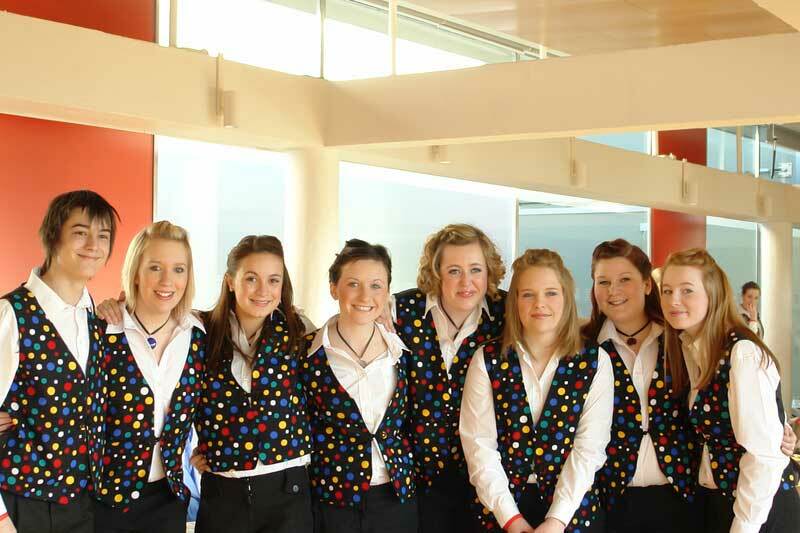 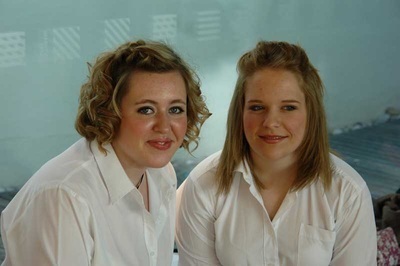 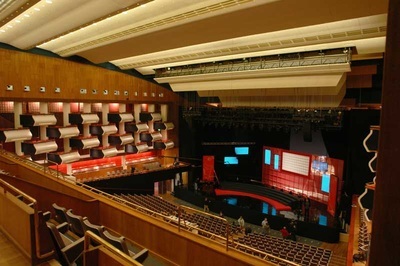 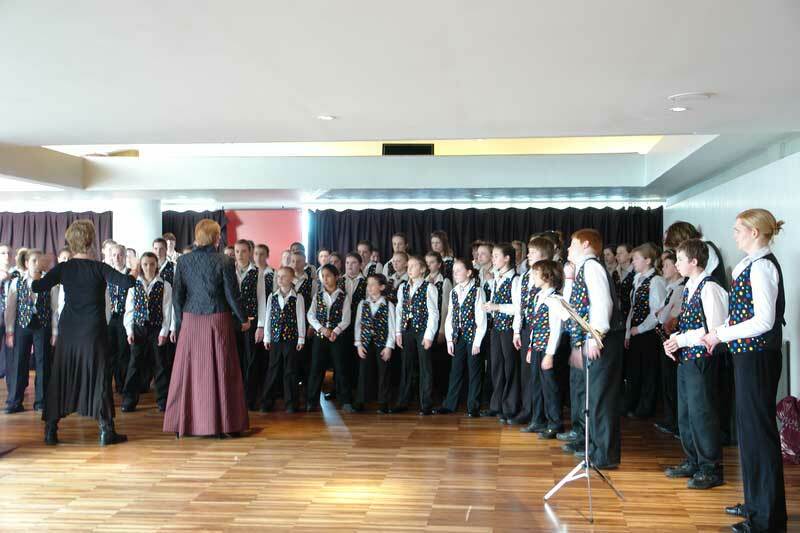 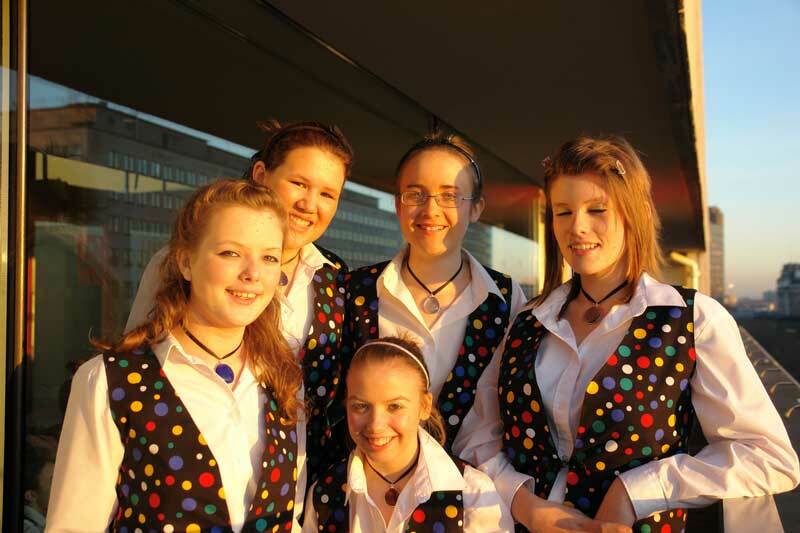 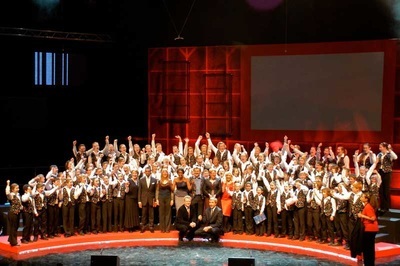 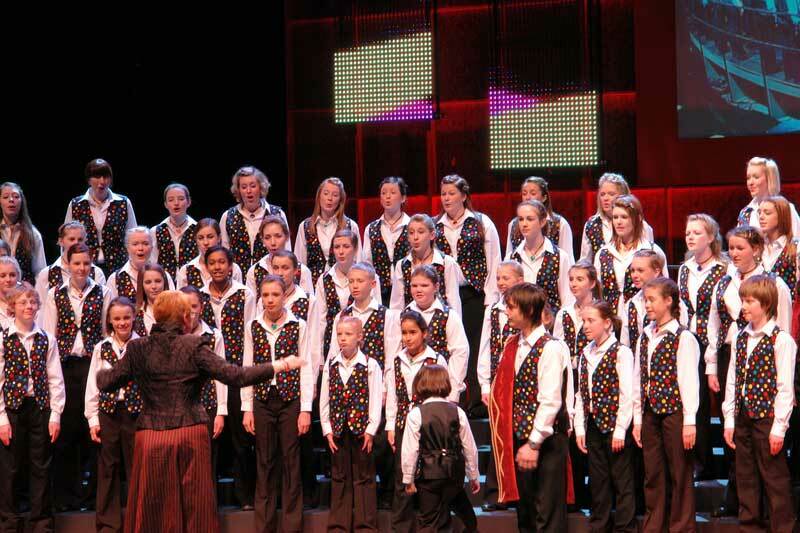 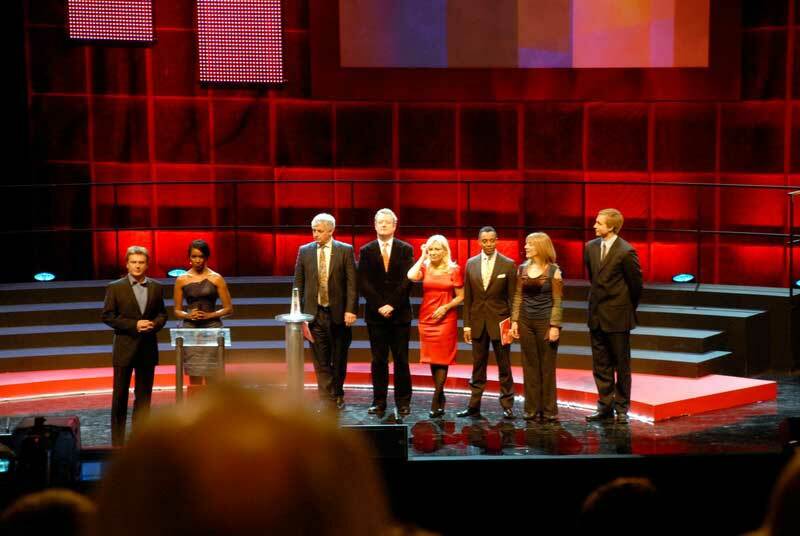 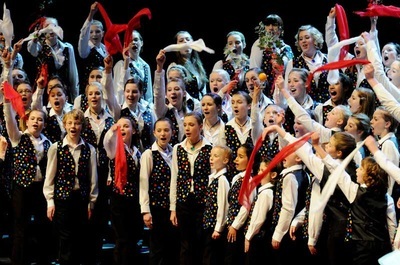 Winners of the 2008 BBC Radio 3 Choir of the Year was the Scunthorpe Co-operative Junior Choir. 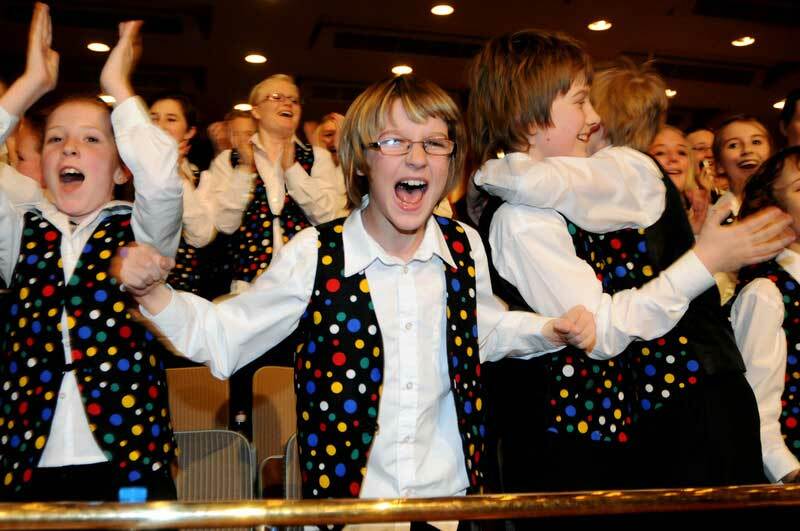 The auditorium erupted with choristers cheering and hugging each other. Supporters all around the auditorium were equally jumping up and down in excitement. Joseph Doust went onto the stage to collect the award on behalf of the choir. It was then the turn of the rest of the choir and Sue to join the judges, Roger and Aled Jones on stage for celebrations and photographs. 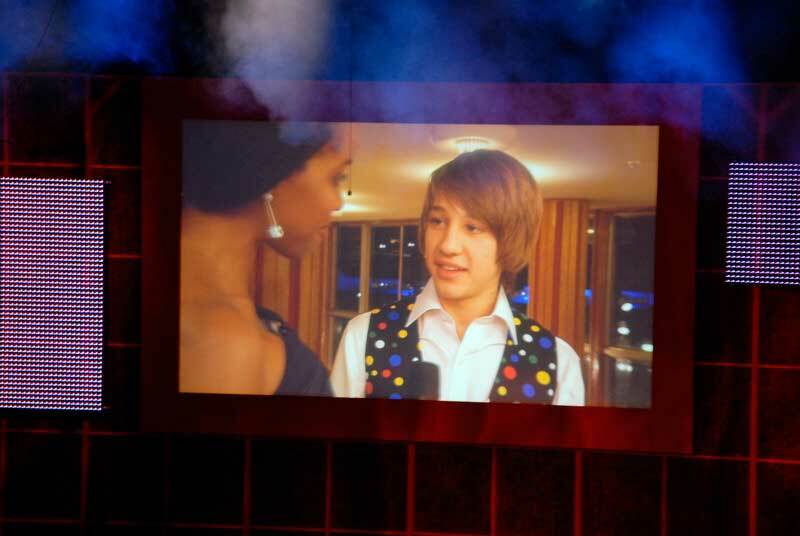 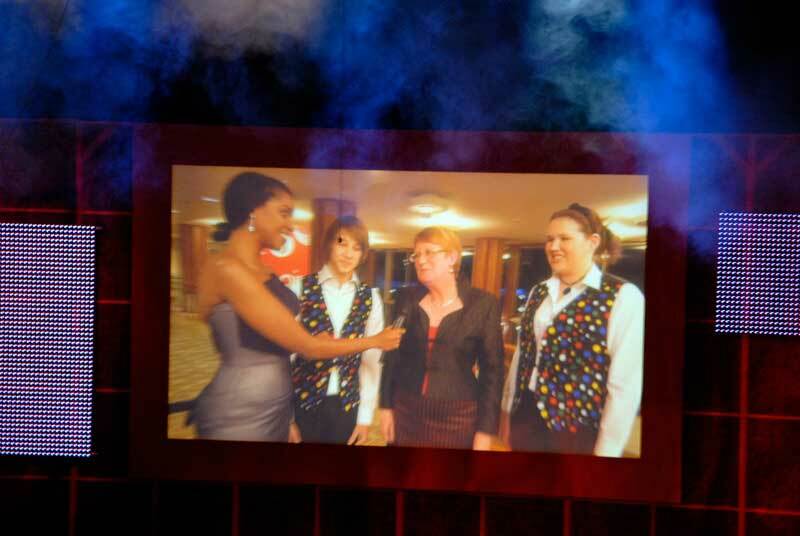 We presented Aled with one of our waistcoats which he had raved about both at Liverpool and again in London. 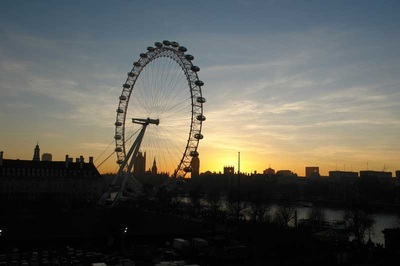 Later than expected because of the celebrations we left London to make the long journey back north. In total contrast one choristers bus was lively and full of singing whilst the other fell silent with nearly every chorister asleep! 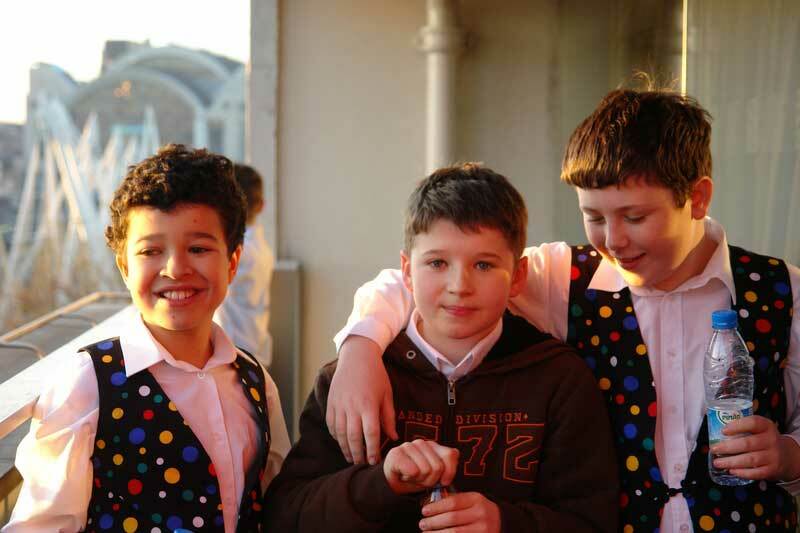 We arrived back in Scunthorpe at approximately 2.00 am on the Monday to make our way home for a well earned sleep.